At Giabonni's Riverside Salon & Spa your haircut will be beautifully designed, easy to maintain to compliment your face and your hair type. We will be happy to teach you simple styling techniques that will allow you to recreate that fresh-from-the-salon look on your own. 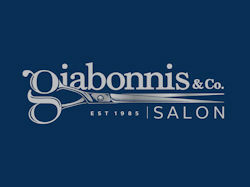 No matter whether you have short hair, long hair, curly hair, thick hair, wavy hair, or fine hair, you can count Giabonni's Riverside Salon & Spa to give you a stylish hair cut.